Román Daniel aka Mans o is a multidisciplinary creator, whose talents range from graphic design to contemporary dance, but who is much more than that. He is an example of how producing music at dissertation and thesis a young age is not necessarily synonymous with artistic immaturity and in his case the producer from barcelona embodies this undeniably, creating with apparent ease and freshness, near pop melodic lines, deconstructed hip hop rhythms and liquid percussions with a lot of groove that seduces directly from the beginning, demonstrating in his own way whilst using machinery, that electronica can also be human. Beginning with the captivating and catchy ‘El Tiempo que Salta’, hatched out from samples that could well belong to folk music from the far south and guitar riffs that remain stuck in your head for days along with cacophonous voices, Mans o has managed to compose a unique piece, something like a futuristic lullaby. ´Sweet and Sour´, the appropriately titled second song on the EP, where Mans o collaborated with the extravagant Max Grosero on the atonal vocals and primordial distress calls to gain a sweet and sour aftertaste that remains at the end, the kind of sweet point that you get from the melodies of something like a toy keyboard, altogether creating a type of narcotic soul ballad. Continuing with the marvelous ´Anule Day´, its progression addictive, from minimalism to maximalism in two minutes, soft and emotive keys at the beginning and heart-wrenching bass in the second half. Closing Mans o´s second individual work is ‘Freed’, a short but intense theme which changes by surprise after a long, sharp introductory chord and disappears into a powerful bass line melody. This is the true protagonist of the track together with the melodic percussions that oscillate the pitch during the development of the song, all of which are cushioned by pads that create a celestial mattress that on finishing, leave you with wanting more. 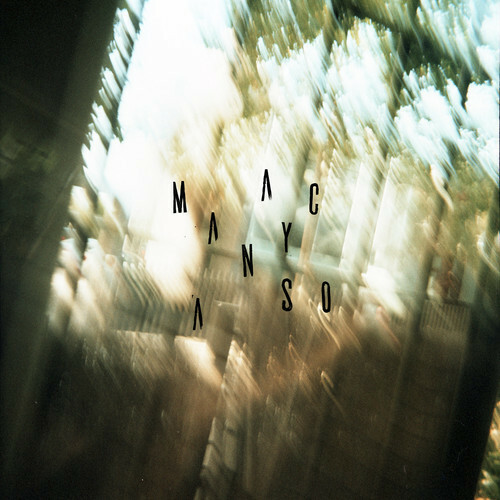 ´Macaya´ is without a doubt a complete and consistent work, which grabs and traps you from beginning to end. It is a declaration of intentions from a young but restless Mans o, a part of a new generation of artists who play around with synths and samplers with an irreverent naturalness.